Would You Ever Let Your Partner Rule Your Wardrobe? 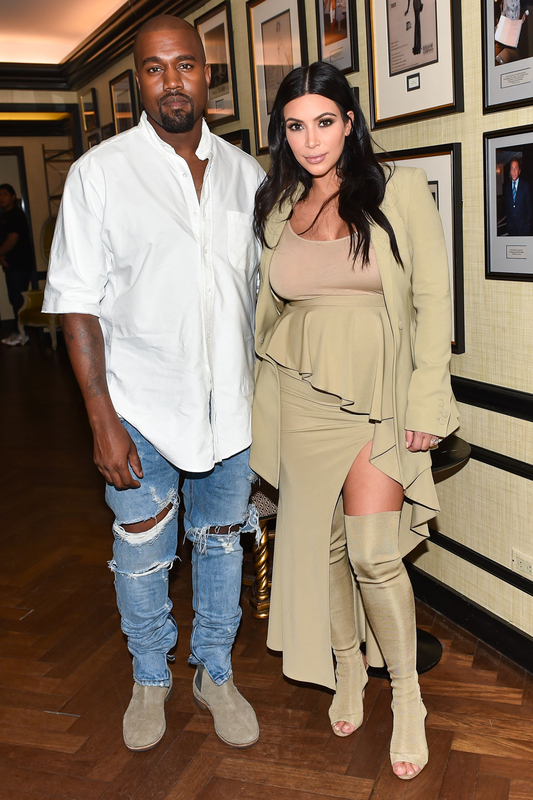 As Kim Kardashian reveals that she let husband Kanye West throw out all her favourite ‘cheesy’ clothes, we’re asking, would you ever let your partner have a say in what you wear? Let’s start by acknowledging that theirs is a relationship like no other. Kimye, the formidable duo whose empire spans reality TV, music, fashion, cosmetics and more, are in no way an average couple. But Kim’s comments have really got us thinking – would we ever give someone else the authority to decide what we wear? See Kim Kardashian’s style evolution in the gallery above. It’s a known fact that celebrities hire stylists all the time to re-vamp their style and allowing someone else to work on your wardrobe could introduce you to exciting new labels, or give you more confidence simply that what you’re wearing looks good on you. Another (slightly odd) revelation that Kim makes is that, pre-Kanye, she’d never seen snakeskin before. As in snakeskin. So, yes, getting someone else involved in your outfit can help you to see past a sartorial stalemate, find new labels you love and even introduce you to fabrics that you may not have seen in the sheltered land of, erm, Los Angeles. However if that person is your partner, does the whole thing become a less about having fun, and more about control? Tabloids are branding Kanye the relationship dictator, and, bad taste or not, it seems quite extreme to ask someone to give up any possessions with sentimental value. Style is supposed to be one of the most personal (and hopefully enjoyable) experiences for both men and women, and like it or loathe it, Kim had her own thing going on long before Kanye came along. Kim insists that, for her, a partner’s influence has made her fall in love with fashion ’so much more’. So would you ever give your other half free reign over your wardrobe? Tell us what you think on Twitter and Facebook @MarieClaireUK and we’ll add your opinions to the debate.